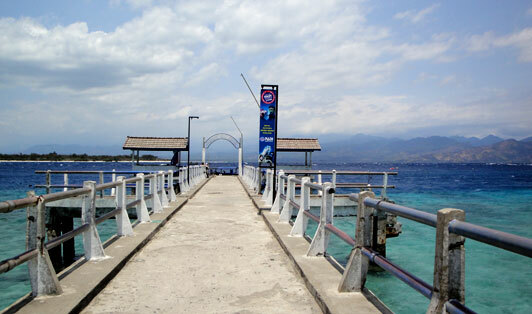 Gili Trawangan doesn’t have a harbor, there are only a beach and a jetty. 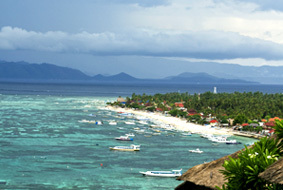 All boats make sail and arrive in the same area. Part of the charm is that you will have to walk in the water to reach the beach, the ferry’s staff will either let you leap off into the water and hand you your bags or they will throw your bags onto the beach and let you get off after.